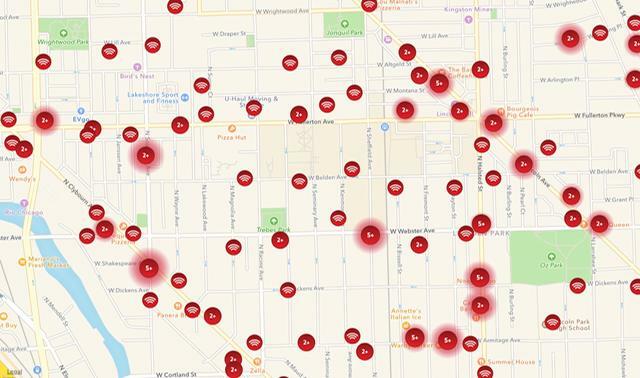 Comcast today announced that it has installed new Xfinity WiFi hotspots in outdoor locations bordering DePaul University’s Lincoln Park Campus, located at 2320 N. Kenmore Ave. in Chicago. 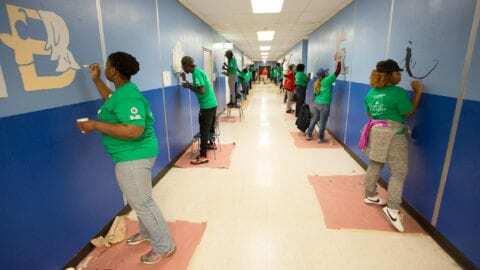 Four years ago, Comcast launched its Xfinity WiFi network and since then has installed more than 10,000 hotspots in businesses, homes and outdoor locations throughout Chicago’s Lincoln Park neighborhood – and more than 1 million in Illinois and 14 million nationwide. The new WiFi hotspots around DePaul University will give students, faculty and area residents the ability to access the Internet at locations around the campus. This is the latest in an effort to install WiFi hotspots adjacent to Illinois college campuses, including North Central College in Naperville, University of Illinois in Champaign-Urbana, Northern Illinois University in DeKalb and Loyola University in Chicago. 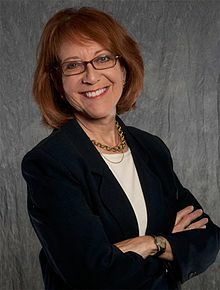 “I am pleased that Comcast is continuing to invest in its technology infrastructure in the 43rd Ward and is making its WiFi service even more widely available in the neighborhood,” said Michele Smith, Chicago 43rd Ward Alderman. In addition to accessing the Internet for school work, Xfinity high-speed Internet customers can use WiFi to stream their favorite TV shows, movies and other content on their laptops and Android and iOS devices on the go. The Xfinity WiFi network is available to Xfinity high-speed Internet customers for no additional charge. Comcast offers non-customers two free one-hour Xfinity WiFi sessions per month. Comcast developed the Xfinity WiFi app for Android and iOS devices to help customers locate hotspots near them. Customers also can visit www.xfinity.com/WiFi to locate hotspots and learn more about Xfinity WiFi. 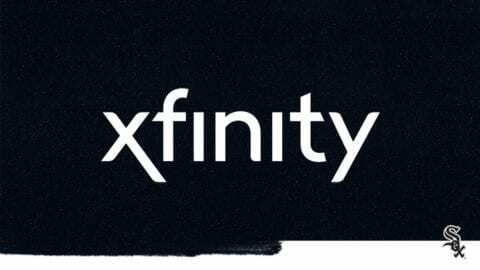 To access Xfinity WiFi hotspots, customers should select “xfinitywifi” or “CableWiFi” from the list of available WiFi networks on their computers or mobile devices. Once customers login to either of these networks, they’ll be connected automatically the next time they’re in range. For more information, call 1-800-XFINITY or visit www.xfinity.com/WiFi. Comcast continually upgrades its high-speed Internet service in an effort to provide more and more value to customers. Last month, Comcast launched its 1 Gbps residential Internet download speeds over its existing network in Chicago and other locations throughout the company’s Greater Chicago Region, which spans Illinois, northwest Indiana and southwest Michigan. 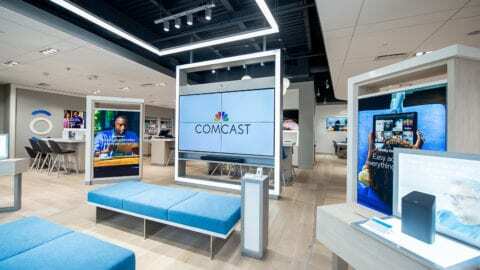 Comcast already offers businesses in locations across the region Internet speeds of up to 100 Gbps and in 2015 launched Gigabit Pro, a 2 Gbps fiber-based residential Internet service that’s available to about 2.4 million homes in the Greater Chicago Region. In addition, Comcast opened STUDIO XFINITY last year in Chicago’s Lincoln Park neighborhood at 901 W. Weed St. STUDIO XFINITY is a unique retail environment that brings together the state-of-the-art Comcast technologies and customer service. Comcast also announced plans to open an XFINITY Store in Chicago’s Lakeview neighborhood at 3128 N. Ashland Ave. later this year.